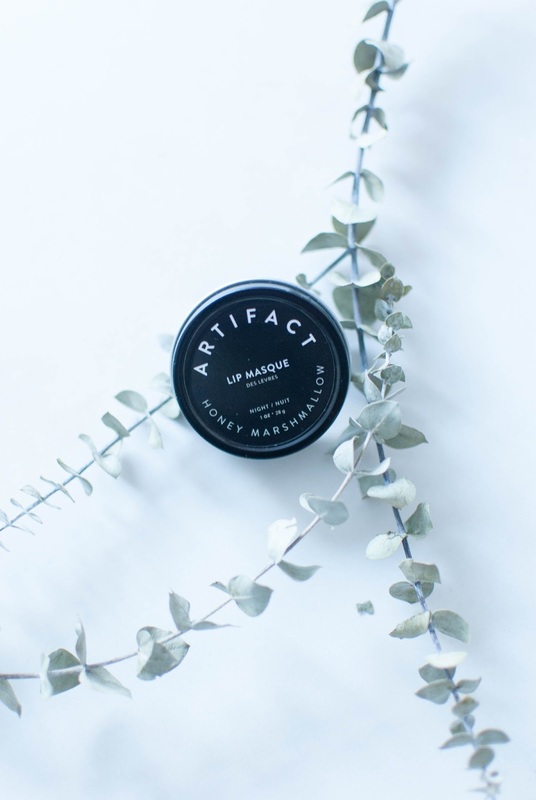 THE BEAUTY EDIT: ARTIFACT SKIN CO. 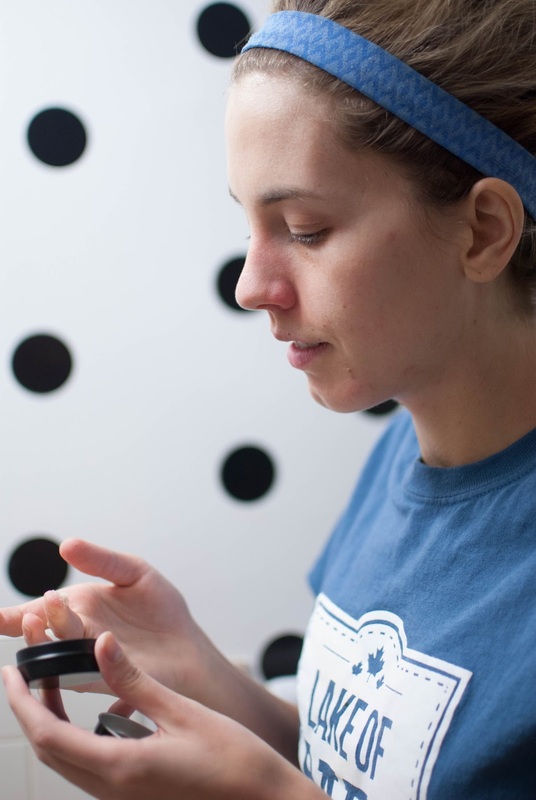 It's been a few months now since I've made the switch to mostly all-natural beauty products. I've mentioned here before that skin has been problematic for me and I was starting to feel like I was running out of options. Face wash after face wash, moisturizer after moisturizer, spot treatments, toners, face masks...you name it, I probably tried it. It's taken time but I've realized that my skin will likely never be perfect. I may always have a bit of redness or irritation or a flare-up, but for now I think my skin is the best it has been in recent memory. I truly think I owe it to myself for setting a skincare routine and not breaking it. 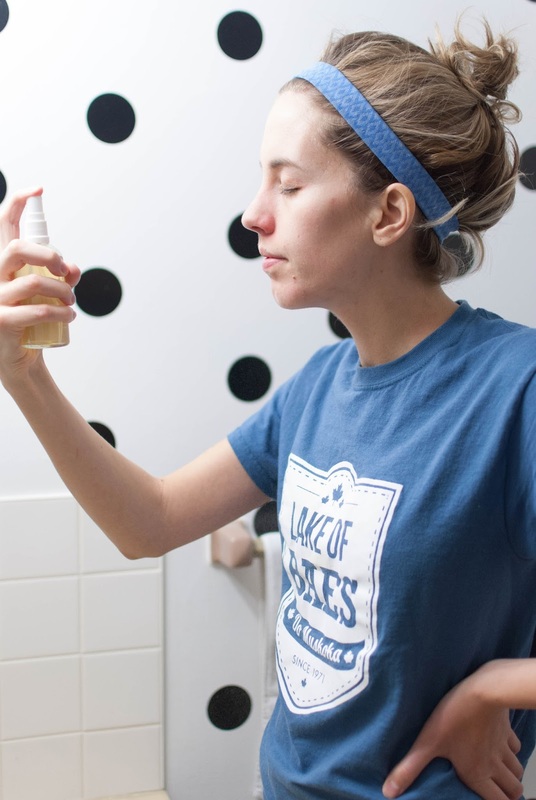 I use a cleanser and moisturizer morning and night, I have a few spot treatment creams, Bio-Oil has been a life-saver in fading some light scarring, and the real start of the show? My Indie Apothecary pick from last month: Artifact Skin Co. I swear, since working my Artifact products into my routine at least twice a week my skin has a radiant glow to it. It looks even and smooth and alive! Speaking of Indie Apothecary, I'm hosting a shopping night at the holiday 613 Craft Popup Shop at 432 1/2 Preston Street next Thursday, December 15th from 6-9pm! If you're in Ottawa come on down and shop my Indie faves! The pop-up doesn't stop at Indie products though! So many other talented Ottawa makers with the perfect gifts for the holidays. If you've been following my gift guides and are looking to pick up a few things, most of those makers have stock at the pop-up! Come and shop local, enjoy champagne, snacks and discounts for you, my followers! Twice a week after I cleanse my face with a tea-tree oil cleanser I make time to use the Egyptian Honey Rose face masque by Artifact. The rose water hydrates and soothes your skin, while aloe vera and almond oil keep skin firm and hydrated. The bee pollen reverses signs of aging (gotta start somewhere! I can't seem to stop the grey hair, so may as well try to help my skin!) and corrects uneven skin and blemishes. 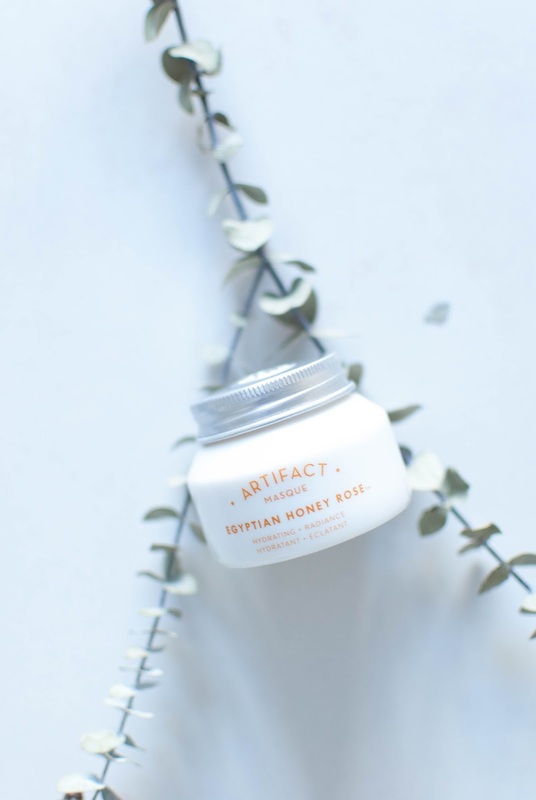 Because Artifact's products are made with all-natural ingredients it's recommended that you keep your paws out of the jar and leave the scooping and application to the tools! Each masque comes with a little scoop that is used to portion the mask onto the back of your hand, then you can apply it with the little brush! This keeps your hands clean and avoids spreading any bacteria to the face masque or directly to your skin! Artifact's face masques come in a variety of types depending on your skin and its unique needs, such as the Bali Papaya Rice Masque, the Brazilian Supermasque and the Glacial Coast Detox Masque. After you've let the masque soak into your skin for a while (I like that it doesn't get hard and make your skin tight - it's a soothing experience all the way through!) 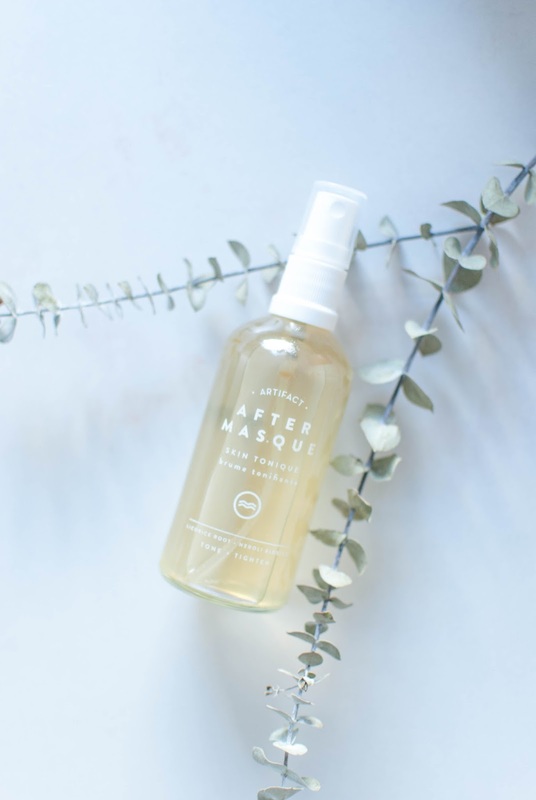 you can rinse it off and follow up with the After Masque Tonique. The tonique is a refreshing blend of orange blossom water, witch hazel and aloe, leaving your skin feeling vibrantly refreshed and toned. Hold the product about 30cm away from your face and spritz onto your skin, letting it dry. The best part about these two products? They are so gentle that you could use them every day! I've limited myself to twice a week to savour them for as long as I can! 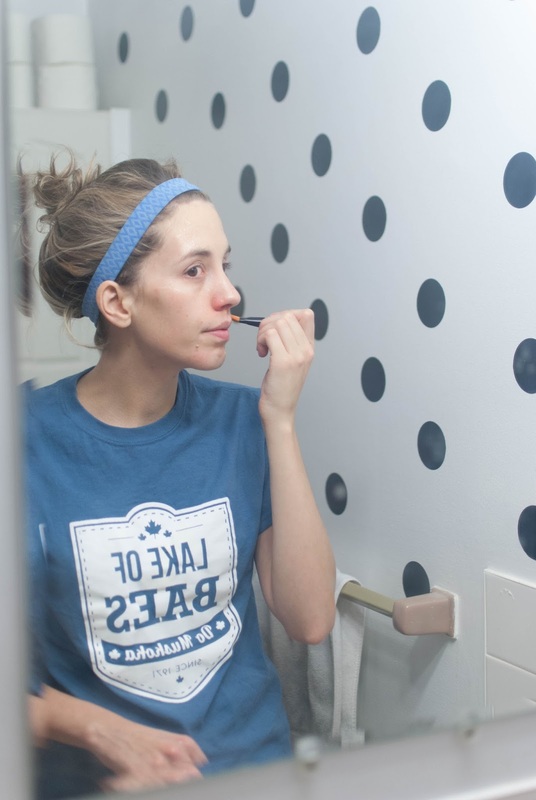 Can you think of a better way to end an evening of pampering your skin than with a rich, moisturizing lip scrub? I can't. Chapped lip season is upon us *groan* and if you're anything like me, if they chap once, they're chapped for the entire season. The Artifact Honey Marshmallow Lip Masque is a lifesaver. Not only does it smell divine, it deep conditions and smooths extreme dry and chapped lips! The masque has an exfoliant in it so you apply a thick layer (and try not to eat it off your lips - you could, it smells so good!) and let it sit for 5-10 minutes. Wet your lips with water and scrub to let the exfoliant do its thing, or you can leave it on overnight for maximum moisture! 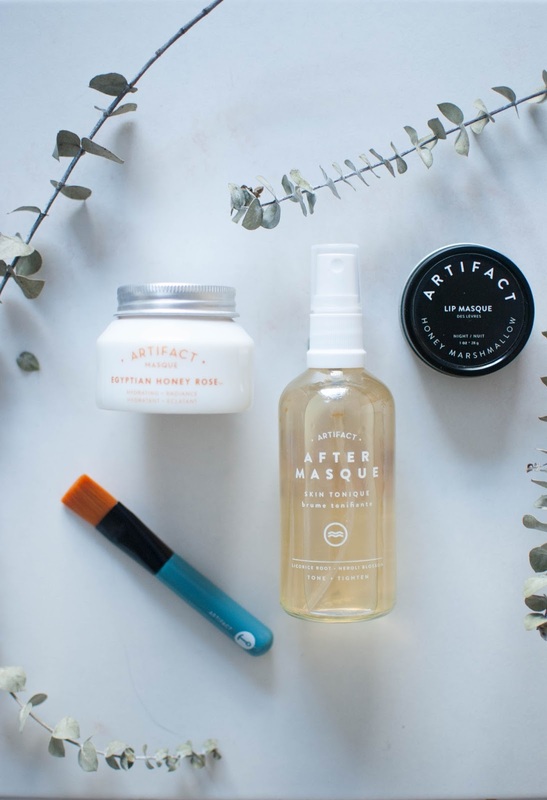 With Christmas right around the corner, Artifact Skin Co. products are a really great gift for the beauty lover in your life, or someone who deserves to pamper themselves. Artifact's products have a higher price point that your average drug store face masque, but I can't express enough how worth it they are. High quality products produce high quality results! As someone who was willing to try anything, I honestly think that Artifact's products were the game-changer for my tired, dull skin. My skin is still a long way from perfect, but it's certainly on the right track to being the best skin it can be. If you're in Ottawa, swing by the 613 Craft Popup and check out the Artifact products in person! I hope to see many of you at the shopping night next Thursday, December 15th! We can chat, shop and embrace the holiday spirit!